For days 9 and 10, we focused more on our ArTherapy, and added in two new pieces towards the collection. One of Atlanta’s top rappers Future, and another of hit singer and music artist Teyana Taylor. We here at DE, are huge fans of rapper Future. He is an Atlanta, Georgia native who has been growing and flourishing since his career took off in full swing during the year of 2011 with his hit single Tony Montana. He has collaborating with many great music artists including Gucci Mane, Tamar Braxton, Rihanna, and even music producer Pharell Williams. 2017. Future Music Block (Mixed Media). Retrieved from http://instagram.com/deluxds. Teyana Taylor is another great music artist we listen to on a regular here at DE. The Harlem born singer, actress, rapper, songwriter, and model is best known for her appearance on an early 2007 episode of MTV’s hit show My Super Sweet 16. Her career then took off from there into the music world as she helped towards the choreography of the Chicken Noodle Soup dance, and the choreography for Beyonce’s Ring The Alarm music video. 2017. 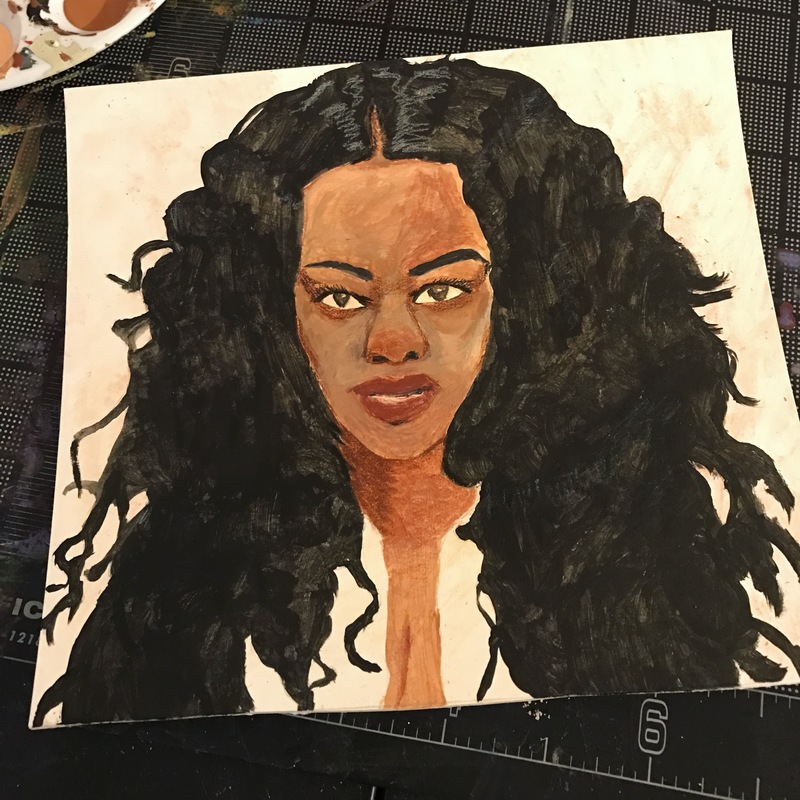 Teyana Taylor Music Block (Mixed Media). Retrieved from http://instagram.com/deluxds. To purchase both of newest mixed media artwork pieces that have been added to our Music Block collection, check out our store at this link. Teyana Taylor is listed here, and Future would be listed here. Both are available for purchase online and shipping is available.